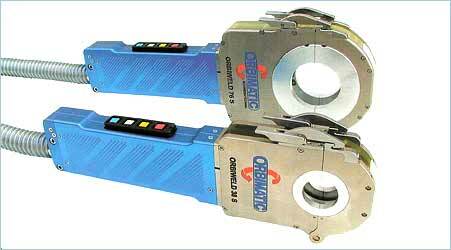 The term Orbital-Welding is based on the Latin word ORBIS = circle. This has been adopted primarily by aerospace and used in terms of Orbit (n.) or Orbital (adj.) for the trajectory of a man-made or natural satellite or around a celestial body. The combination Orbital and Welding specifies a process by which an arc travels circumferentially around a work piece (usually a tube or pipe). The concept Orbital Welding is basically a loosely defined term that is usually used for processed only, where the arc is travels at least 360 degrees around the work piece without interruption. Consequently, processes, which interrupt the full 360-weld sequence such as for better puddle control (often used for MIG/MAG welding, using the down-hand welding sequence in 2 half-circles), can not truly be called orbital welding. 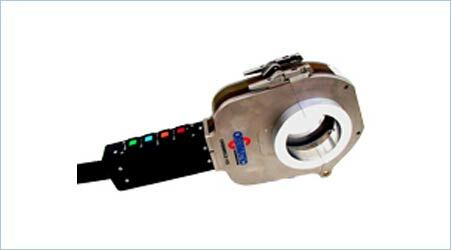 ORBIMATIC is proud to annouce the introduction of another brand new orbital welding power source. The new 300 CA has the following unique features. 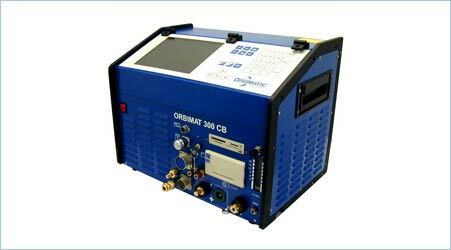 ORBIMATIC is proud to announce the introduction of the new orbital welding powersource ORBIMAT 300CB. The new powersource is replacing the ORBIMAT 250C. The new ORBIMAT 300CB computer controlled power source is very compact in design and has a highly visible 10,5" colour monitor. The Worlds Most Technologically Advanced Water Cooled Orbital Tube Welding Power Supply. The Orbimat 165C Advanced is designed around the proven concept of the ORBIMAT 165C Basic with a brand new software version to dleiver the worlds most advanced tube welding system. 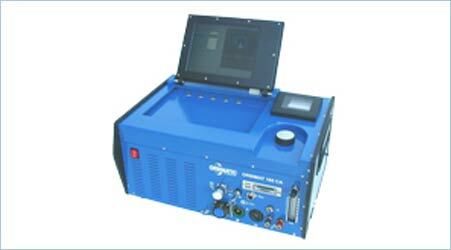 This new power supply takes orbital welding power supplies to the next generation. 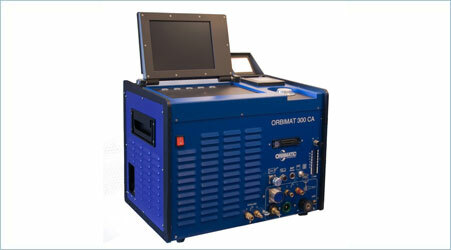 The Orbimat 300 AC has all the features of the Orbimat C range, but in addition can offer an AC welding facility. 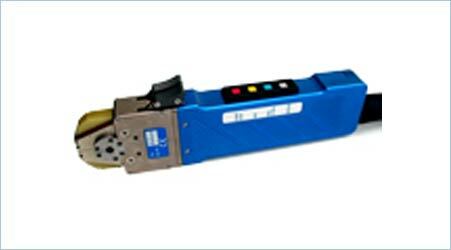 This allows the Orbimatic range of weld heads to be used an materials which require an alternating current to be welded successfully. With adjustable AC Balance and Frequency to AC arc can be controlled to achieve the optimum weld profile for the application in hand. 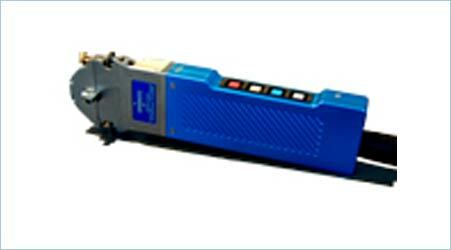 All functions are controllable on easy to understand weld level screens. Totally enclosed, extra thin orbital tube welding heads yet with extremly high duty cycle because of powerful water cooling. Because of its extremly small dimensions, the ORBIWELD S series is the perfect solution for applications with tight access restricitons frequently found in pharmaceutical sand similar areas. The VK 19 weld head with its rugged but extremely small design provides very high duty cycle production rates through an integral water-cooled body design. Off-the-shelf fixturing kits for the VK 19 are available for the welding of microfits and VCR glands. The ORBIMATIC ORBIWELD 12 Micro Weld Head, is extremely compact in design and the has several cartridge options, offering a unique flexibility. The head is designed with an internal water cooling systems which gives the ORBIWELD 12 high operationg duty cycles despite is compact design. 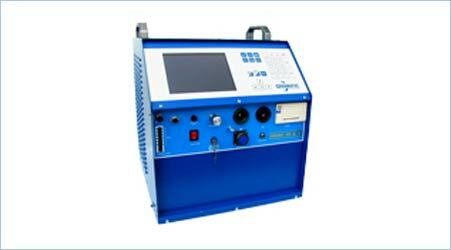 When combined with the ORBIMAT range of Orbital Welding Power Supplies you will get a highly advanced orbital welding system which offers full flexibility.